The Count of Monte Cristo: Trial Notes: (You will work on this assignment from chapters 25-end. You will constantly add to it as you complete each new reading section. 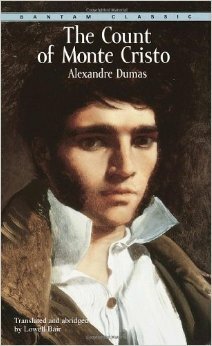 You will be working in groups to analyze The Count of Monte Cristo by Alexandre Dumas using lessons modified from The Center for Learning. You will be assigned a group and invited to a Google Document where you will assign yourselves a part of each reading assignment. When assignments are due, you will serve as the "expert" or spokesperson for some facet of the reading. You will share your observations that you have recorded on the group document with the group.